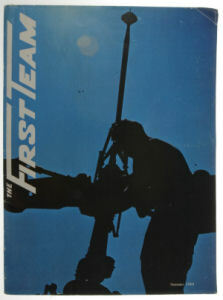 Spring 1970 edition of the "First Team". This issue highlights the 13 Medal of Honor winners of the Division in Vietnam�up to that time! 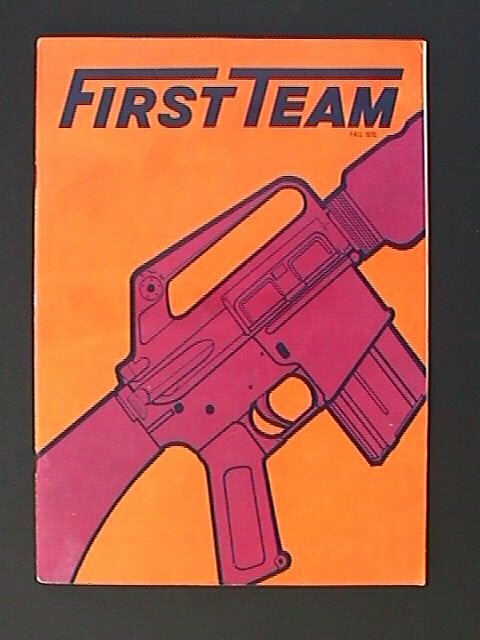 Summer of 1970 issue of "The First Team"
First Team" Fall 1970 edition. 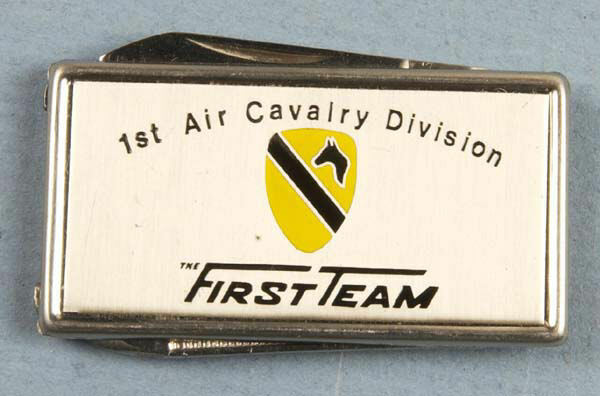 The "First Team" was the official quarterly publication of the First Cavalry Division in Vietnam. 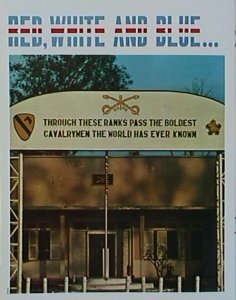 The magazine was high quality, mostly color photos with much general information on the division, it's units and activities in country. They average 40 pages and always featured cartoons and girls! 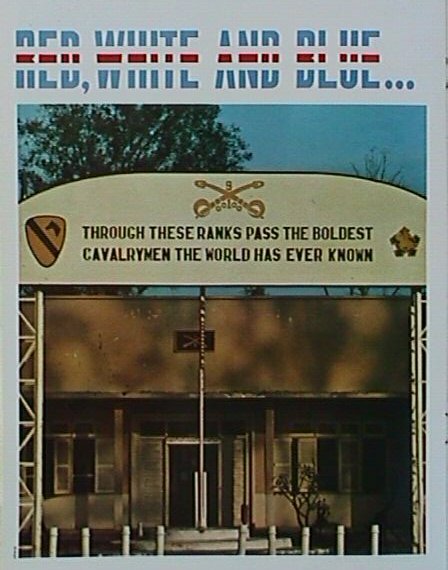 Photo from 1970 Winter issue of the 1st Cavalry Division Magazine - "The First Team"
Febuary 7, 1968 issue of "The Cavalair". 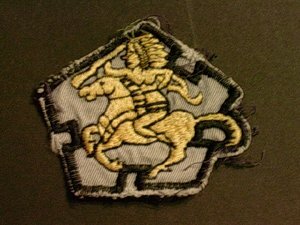 The Official�weekly newspaper�produced for and by the 1st Cavalry Division. 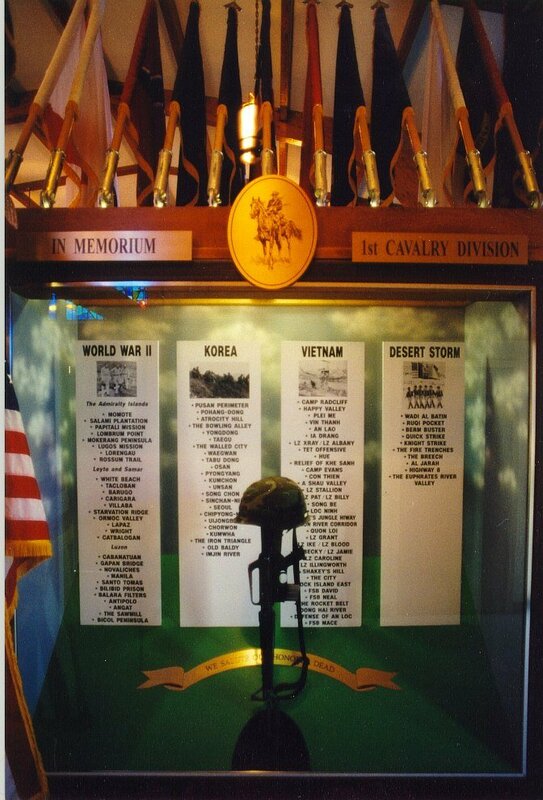 Vol.2, No.62, this issue covers day to day unit activity, a visit by the Army Chief of staff Harold K. Johnson, Award of the Silver star to Chaplain Philip J. Lucid, stories of Cav advisors working with the ARVN forces and a USO show featuring Raquel Welch! Psych war propaganda lealfet created�by the North Vietnamese and designed to target 1st Cavalry Division troops. 2 different styles of Divisional award folders for 1st Cavalry division personnel. 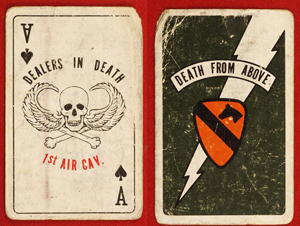 Some of the G.I. artwork featured in the Summer of 1970 issue of "First Team" divisional magazine. 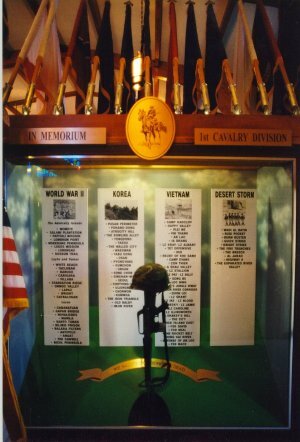 45 RPM record, "Impressions of a Skytrooper", �was�produced in Japan by the 1st Cavalry division's "First Team Productions". 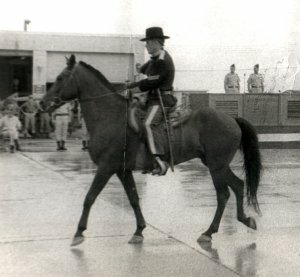 Bill Ellis was the recording artist and the liner notes recognize him as a Rifleman in the 1st Cavalry division who wishes to represent soldies at the Foxhole level. 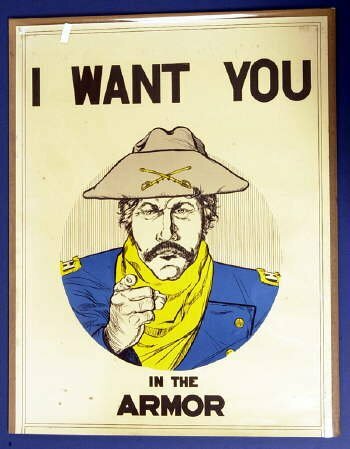 The record is actually an "Extended Play" recording that features 4 songs - "First Cav", "Firefight",� "Freedom Bird" & "Grunt". Dedication in the Summer 1970 issue of "The First Team" magazine. 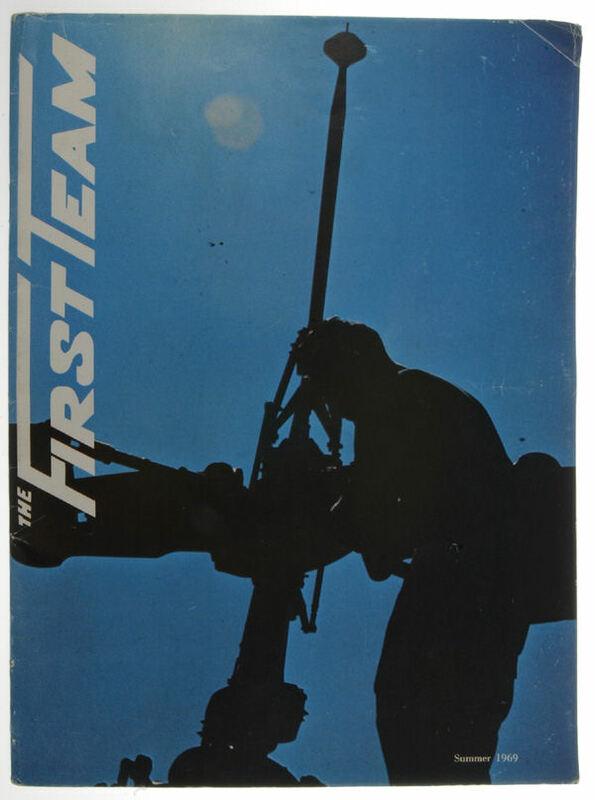 Summer 1969 edition of :The First Team". 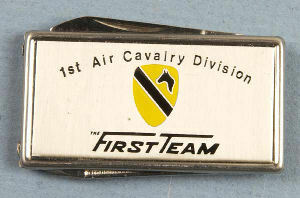 This issue has color spread of unit insignia worn by units attached to the 1st Cavalry division. 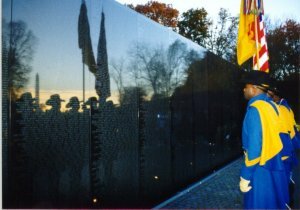 Lots of color photos and articles on the day to day operations. Colonel John B. Stockton will forever be known to those who knew him and served under him as the driving force and father of the Air Cavalry concept in it's formulative years prior to and during the Vietnam conflict. 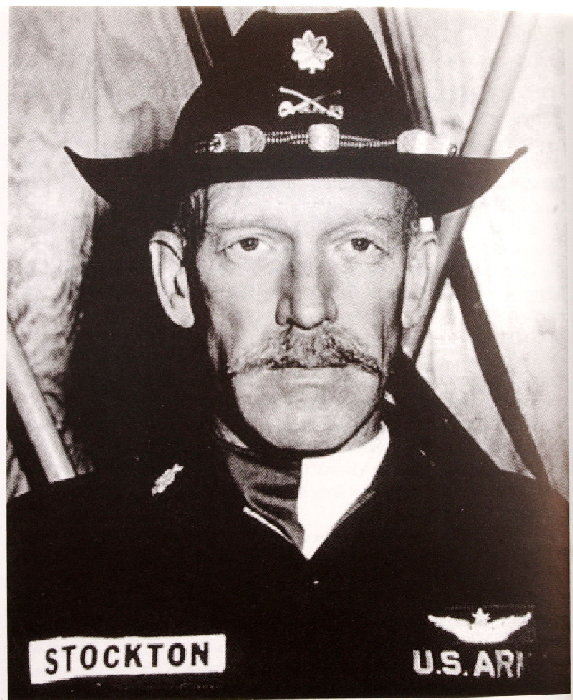 He is known to have been the inovator of the Stetson Cavalry hat and took the first Air Cavalry unit to Vietnam (1st Squadron, 9th Cavalry regiment), he authored of the book "The Cavalry Trade" and was instrumental in creating doctrine and tactics for Air Cavalry units in Vietnam.